Previous study by researchers demonstrated a mathematical language describing tie knots which showed that only 85 different knots were possible. 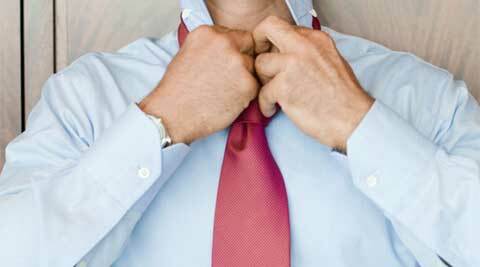 Mathematicians have found more than 177,000 distinct ways to knot a neck tie. A previous study by researchers from the University of Cambridge demonstrated a mathematical language describing tie knots which showed that only 85 different knots were possible. The pair had used an existing tool from logic – known as formal language theory – to express the basic rules of tying a neck tie as a series of symbols. The existing language described the process of tying a knot as a sequence of motions between the left, centre and right of the chest, moving the tie either away or towards the chest, ‘New Scientist’ reported. Vejdemo-Johansson’s team realised they could just describe moves as windings either clockwise or anticlockwise around the passive end of the tie, plus a tuck move. This allowed them to include much more elaborate ties. Fink and Mao placed the limit at 8 for classical ties, but Vejdemo-Johansson’s team chose 11 instead.